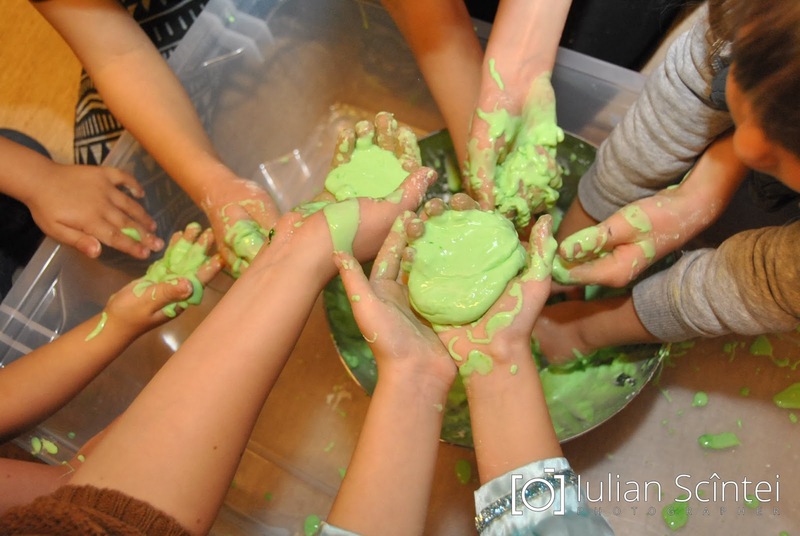 Have you ever made oobleck? If you haven’t, you should give it a try. It is AMAZING! 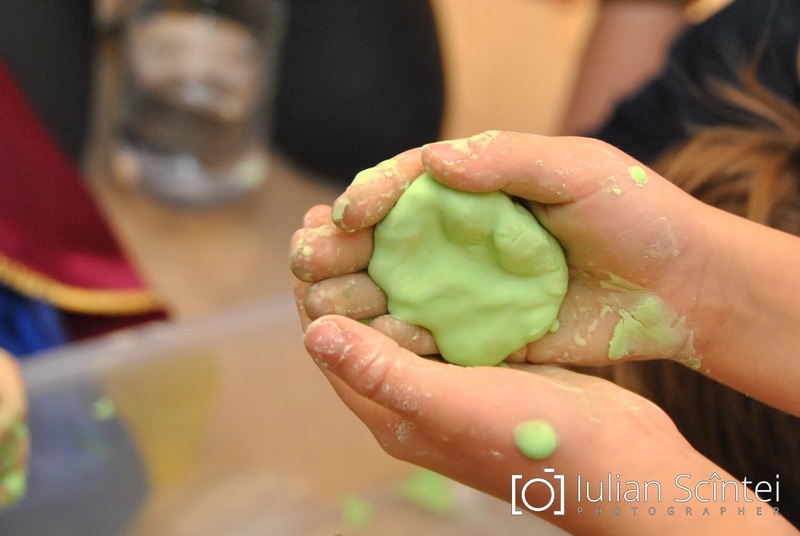 I’m not joking…it will keep your kids busy for a long time and it will provide them with lots of learning opportunities. Even as an adult you might get hooked on it. you might already have the ingredient(s) in your kitchen! Before you prepare it, make sure you have a wet cloth to wipe surfaces with. Then you’ll need a large bowl to prepare it in and small plates for every child or a very large box (sensory table) for all of them. 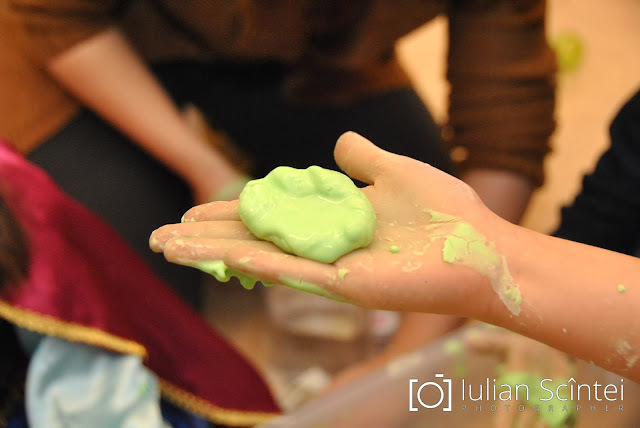 I suggest placing a table cloth on the floor to cover everything, so you’ll be able to enjoy playing with oobleck, rather than worrying about the mess. 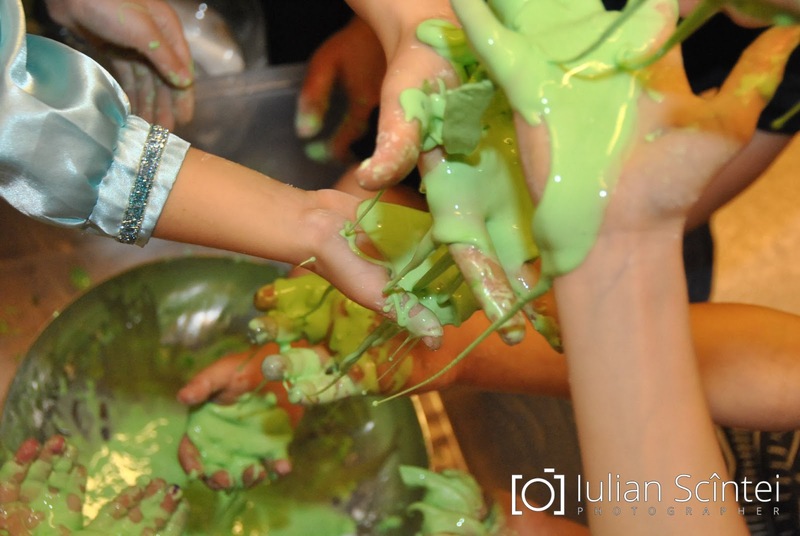 We used 2 cups of corn starch and 1 cup of water to make oobleck for 5 children. I hope I’ve convinced you to try it! Have fun! A big thanks to my friend Iulian for allowing me to use his photos.